Enrich your soil with your fallen leaves and pine needles. It’s free and it is the best organic material to feed and improve your soil year after year. Don’t rake, bag and dispose of this gift from nature. Use it to enrich your garden for next years growing season. There’s no need to buy bark mulch and peat moss when it comes down off the trees for free each fall. 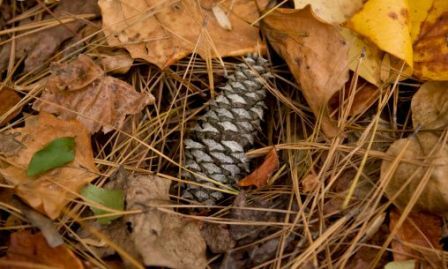 Learn how to turn your leaves and pine needles into beautiful mulch from the expert gardeners at Southern Living.